paint perks at sherwin-williams+ $200 giveaway! * they have real live, paint people! Not flooring-in-the-morning-can-you-cover-the-paint-desk-this-afternoon but knowledgeable, friendly, PAINT people. This is all they do and they know their stuff. I can ask Chad, the manager at the Provo store what paint he recommends for dressers in little boys’ rooms that will get lots of abuse. Sherwin-Williams multi-purpose primer topped with Sherwin-Williams Pro Classic latex, without hesitation. BAM. They have used the paint. They talk to contractors daily. He knows the most popular colors in our area. They will actually help you and point you in the right direction. * I used to think they were really expensive because of the quality of their paint. I soon discovered they have awesome promotions. Guess what is happening this upcoming weekend? Their anniversary sale – 35% off! PLUS you can use coupons with the sale (see below!) I dare you to find a better paint for a better price. It’s unbeatable. A little trick I use: buy the cans of paint at the really good sales, and they will tint it for you later. * the colors, the pamphlets, the companies they team up with. You can take catalogs home that they have put together with ideas and tried and true, gorgeous colors. 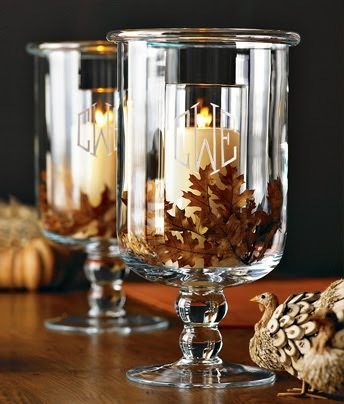 Lines from Pottery Barn, West Elm, HGTV HOME by Sherwin-Wiiliams, and other collections for interior and exterior that will fit any style. * FREE! Sign-up online or in-store. * get a $10 off $50 coupon right away. * they save your colors and paint for you for 10 years. Like when you are ready to move and need to touch up paint and are wishing you hadn’t thrown out those paint cans?? They have the exact formula and paint stored in the database for you. * when you sign up, you will the first to know about the awesome sales and promotions in your inbox. So, are you convinced? Go sign up. And go visit your Sherwin-Williams store. I have a feeling you’ll love them as much as I do. I have a $200 Sherwin-Wlliams giftcard to give away to one of you – just tell me in the comments why you love Sherwin-Williams. For a second entry, follow Sherwin-Williams and 320 Sycamore on Instagram and then let me know with a comment below. Good luck! * I reached out to Sherwin-Williams to partner with them because I love their company-- I only partner with companies that I can stand by. Opinions, ideas, pictures writing are 100% mine – full disclosure here. Oh this is so exciting! I am getting ready to move into a new (to me) home and today on the Decor To Adore blog I am showing off a wonderful vintage hutch that I just bought. It desperately needs a paint makeover. My husband has been painting since he was 14 years old. Can you imagine??? Such dedication! lol For years he was buying paint from a big box store but about 5 years ago he switched to SW paint and will not paint with anything else. Besides SW's awesome array of colors they have a big selection of grades of paint for every type of application. The staff is always friendly and helpful, but most of all they are knowledgable. I took the plunge with them when I repainted the cabinets in my kitchen. I was tired of latex semi gloss that got soft and sticky over time. I was surprised to find that with their promotion the paint was the same price as Behr. Loved how it looked. I have been using SW paint for almost 15 years. I use the interior and exterior paints and primers. The paint covers so well. I learned how to "faux paint" with SW idea cards. The staff is always extremely helpful and very knowledgeable. Thank you for the opportunity to win a $200 gift card to SW. I would use it to update our game room. We love SW paint and out SW store & their employees! Great paint (it's on all our walls) and awesome employees! They are always helpful & nice!!! I haven't tried it yet- thought it was out of my price range. But I have a bathroom that needs painting, so I'm going to take your advice and pick up some paint next weekend when it's on sale. I'm excited to try out Sherwin Williams. I learned my lesson on cheap paint many times over and now it's almost time to paint our 1800's farmhouse and I'd really like to do it right this time! Thanks for the head's up and I hope I win!!! I like their paint quality. We are getting ready to paint in our home and are planning on using their paint! The whole house needs a paint refresh. A few gallons of Cashmere in Matte finish would go a long ways to help renew our home. Love the coverage and ease of painting with Sherwin Williams. I love our local SW and their quarterly 40% sale is my favorite. I have always loved their colors that other people have used, but have never actually used them myself. This would be a great introduction! We just spent $700 on paint and supplies at Sherwin Williams for our new house. I also just bought the plain paint and and going to tint it as I decide on the colors. I love that about Sherwin Williams. We also live very close to a SW store. I registered with Sherwin Williams today! I just 'followed' you and Sherwin Williams on Instagram!! So happy to read this post today! Glad to hear you love SW...my husband has worked for them for 32+ yrs...so you know that I love them too! Great tip on buying the base gallons on sales and taking them back to get tinted when you start a project...I do this all the time. I am now following on Instagram. I would love to win this. We're about to move into a new house, but don't have the extra money to buy new paint. This would be a huge help. I love the customer service and I followed both you and SW on IG! I love that it's just a paint store and they really know their paint. They are great locally, not just in Provo, too, anywhere. Thanks for the giveaway. We need to buy paint this weekend for our new garage! I adore sherwin Williams! We have used them exclusvly for our house we bought in January and I get complements all the time on the colors and I adore how well it holds up with washing etc! I actually haven't used Sherwin Williams before, but I remember going to their store as a little kid with my dad. You presented a very compelling argument for them and now I want to try them out! I love Sherwin Williams for all the reasons your mentioned! Their sales are great - and always VERY timely!! I love their colors - they are always on-trend and I really really like that they know the colors that are popular in an area! The new Paint Perks Program is awesome!! I'm not sure how they do it, but their colors are always exactly what I'm looking for! When I try to find something at HD or lowes I leave disappointed and feel like I need to settle. SW staff is always so excellent too. I love their colors and sales! I wait for a good sale and stock up! I didn't know about their upcoming sale and am so excited because I have several rooms that I need paint for! They have the best colors! They helped me pick the perfect white for my built-ins. They suggested the most popular whites and I took their swatches home to finalize my selection with what looked best in the space. Got great results with the paint! I like their paint quality. We are getting ready to paint the outside of our home and the painters suggested SW. Theey say they are the best paint. I love the paint colors! i love their colors! so pretty,. I love that they never make me feel dumb when I ask a million questions about painting! I recently needed to paint my town home and went to Sherwin Williams. They were not out to get a dollar, they wanted to help me find the best color with the best coverage in my budget! SUCH an amazing help! I also have followed Sherwin Williams as well as 320 sycamore on instagram! I first started using Sherwin Williams in 1991 because it was closest to my house back then. Now I've moved three times since and I still love their paints. this is great! I need to paint my whole apartment - every room is currently this depressing moss green color and is totally blah. would love to see what some new colors could do to the place! I haven't used SW paint, but since I'e been seeing a lot of positive comments about the paint and I need to start repainting the entire house, I'll be visiting the store. I love SW for the same reasons! Very helpful and love that they get feedback from contractors to help you pick the right product for your project. I always felt that it's not that much more money for good quality paint. Thanks for the great giveaway! I've got old wood doors and a bedroom full of wood paneling that I need to stop ignoring and get fixed up. I love Sherwin-Williams for their expertise - when I am ready to paint, they can HELP me with what kind of paint to use, how to prep, what color/combination to choose, and they have great paint besides! I won't go anywhere else. Thanks so much for the chance to win! I have never purchased paint from SW but I hope to for our new home we're closing on next month! It is nice that they are so knowledgable about their products. I would also enjoy the kids area since I would have three little ones tagging along with me to help pick out paint. I have never used Sherwin Williams paint but I've been eyeing their paint colors on Pinterest! We are buying a new build home and just selected SW colors for the exterior. I know we will be choosing SW paint for the interior as well! I, too, would love that play area! :) Needing that gift card right now since I'm about to paint the boy's room right shortly! I LOVE their colors. I always know I can find the right shade at SW. I have never tried them....in budget? Sounds like I'll be giving them a try in the near future. Here I come bedroom! I love Sherwin-Williams. I used to be a Benjamin Moore girl, and I still love their paint, but I honestly think S-W is the best paint available now. Here's something I learned a long time ago: in painting, the greatest cost is labor (whether you're hiring professional painters or using your own time). That being the case, it doesn't make sense to use cheap paint. Good quality paint will cover more easily, look better, and last longer than cheap paint. And in my opinion, there is no better paint available today that S-W's top-quality paint such as Duration. Hi Melissa! We are moving for the first time ever into a pre-existing home instead of building. I'm super excited and ready to begin painting to make the home ours. Thanks for this opportunity :):). I love SW paint and the guys at my store are so helpful answering questions! I recently painted our bathroom with Sherwin-Williams paint. I loved the consistency and the coverage of the paint. When I visited the store I loved having a salesperson explain all my options and help me in choosing the best paint for my project. I'm following Sherwin-Williams and 320 * Sycamore on Instagram! We used SW (matched to BM colors) on our new house because our painter suggested it - and the customer service we received at the store was second to none. We have gone back already a few times since, and have had a great experience each time. They're very knowledgeable and helpful! I love the quality of their paint. It goes on nice and thick! We're moving soon and would love to be able to decorate with their paint. I love Sherwin Williams, because they have great quality paint and selection! They also have great customer service. I went into their store last year when I needed paint for my daughters nursery and they were so helpful! My husband and I are wanting to paint our bedroom and kitchen. Thanks for the opportunity! Funny story... I have always recommended SW paints to people when I was helping them pick out paint colors, but I have never used them myself! Might be time for me to bite the bullet and buy some for my next paint project! We just built a new house and used SW throughout. Their paint is wonderful--and a great tip--if you find another shade by a different brand--they can MATCH it!!! Needless to say, we bought every bit of our paint from SW after finding out this tip. Great giveaway! I love Sherwin Williams for so many reasons. Among them: Cashmere paint (oh my word, that stuff is like butter), their color consultants' opinions are spot-on, and their discounts. It just feels like they really want you to be your customer, you know? Love Sherwin Williams paint! I never use anything else. I have tried other things over the last thirty years and learned that this paint is the best. It covers better and looks and lasts better than any other. I love Sherwin Williams paint because of the quality! When we built our home the entire interior of our house was painted with Sherwin Williams. The paint wears well and WASHES well, which is a necessity with 3 kids! We painted our kitchen several years ago with Sherwin Williams paint. It was awesome! Great coverage, finish and color. I'd love to win the gift card. We have several rooms needing a paint refresh. Sherwin Williams always has a welcoming feel and is the most inspiring paint store I know! I follow you and Sherwin Williams in Instagram! I have never been to Sherwin Williams, but we are currently finishing our basement and will be painting soon. I would love to try their paint, especially with a gift card!!! I hear great things about Sherwin Williams paint. I am excited to buy paint during their anniversary sale and test it out. I like them because paint is all they do and they know their paint! I love Sherwin-Williams because there are so many great colors to choose from and they are high quality. I like Sherwin Williams because of the number of colors available AND because of the high quality of the paint itself! I love Sherwin Wiliams because the employees are very helpful. Thanks! I LOVE SW paint. Not only are their colors PERFECT when another company doesn't get it quite right, but it just covers so well! Such high quality!! We painted our bedroom with Sherwin Williams Perfect Griege and a guest room in Latte. Both are beautiful, soothing colors for a bedroom. We live 80 miles from a Sherwin Williams store and it's worth the drive for excellent paint. I love SW because of their wonderful color selections - plus the paint is great. Thanks for the tips on buying the paint now to have tinted later - I never thought of that! I love SW for all the reasons that you listed! They know paint. What better reason to ship there?? I follow you both on IG! I used SW for the first part of my exterior house repainting job (still have back of house to go). I did a lot of research first, visiting pro forums as well to see what they recommended, because I didn't want to have to repaint any sooner than possible for one, but wanted it to look good as well. SW paints rock! I am planning to repaint several rooms in our home and choosing SW because of all the reasons you've listed above! Would love to win the giveaway! Hi there, I'm new to the DIY world and have read from multiple blogs the great quality of SWpaints. I can't wait to try them out if I win! I love Sherwin-Williams service and paint selection. I just love the Sherwin Williams Ivoire you used for your girls. Exactly the color I'm looking for in my guest bedroom. Thanks! I love the SW colors and feel like their paint has excellent coverage. I love them because my contractor loves them. I (generally) do what my contractor tells me to do! He's been in this business for a while. I love that their paint is one coat coverage, especially since I have recently started repainting my entire interior of my home. I love their paint, especially the cabinet paint that I am currently using. Wonderful paint color selection and excellent customer service. I love SW's color selection and how well their paint covers! It has held up so well on my kitchen cabinets and I recommend it to everyone! Love the colors and the fact that they keep track for me!! I love them because they have such a great variety of colors. Always friendly and helpful at our local store! I love their friendly & knowledgeable staff! They are always ready to help. I already follow 320 sycamore & Sherwin Williams on IG! I love them because their paint is very high quality and has a wonderful coverage!! I love Sherwin Williams paint because it has a nice finished look that is easily washable and always looks freshly painted. I am following 320 Sycamore and Sherwin Williams on Instagram now. Thank you for the contest! I too love Sherwin Williams. Where else can you get such old fashioned customer service. I have never had to wait like the big box stores and the paint quality is incredible. I would love to win this as painting the major living areas in my home is on the to do list. I am a follower! I would love to try Sherwin-Williams! I painted every single room in my home when we moved in and it's getting to be time to repaint some... thanks for all the details you shared today! My whole house is painted with Sherwin Williams paints~~~love it very durable paint. I have always loved Sherwin Williams paint colors but have never lived by a store :( I would LOVE to try out some of the colors I have been drooling over for the past few years!!! And we actually visit Provo, Ut often in the fall.....GO COUGARS!!!! My dad was a professional house painter and always used SW. My mom is now moving closer to me and so of course we will be painting her new house with SW paint. I love the quality and service at SW!!! Wonderful timing! I am just getting ready to repaint two rooms in the house. I love the quality and color choices at SW. I'm signing up for their paint perks now, the coupon will help with costs:>) Thanks for the link and information. It's all coming in handy for me right now! Thanks also for a great give away. I love the personal attention I get at Sherwin-Williams, and since I have a dining room to paint, I’m going back today. I just made my first paint purchase from Sherwin Williams this summer and re-painted my kitchen. I love their paint + primer. One coat is all It took! I was super impressed. Just signed up for the Paint Perks program. Now that can get 10% off S-W - - - I won't go back to Lowe's! Thanks! I love Sherwin Williams because it doesn't matter what kind of help I need, whether it is color matching or what type of painting tools I should use...I know I will get that help at my local store! I follow Sherwin Williams and You on Instagram! Thanks for the giveaway! In my bathroom, I got at Sherwin Williams the most awesome color of paint EVER. It's been up there over three years now and not only am I still loving the color, but it's wearing like a dream. I love Sherwin Williams! Their staff is extremely knowledgeable and helpful, and the quality of their paint is exceptional. I love their paint perks program. I painted my daughter's room with Sherwin Williams paint several years ago and loved it! We have often purchased paint since then from our local Sherwin Williams store. I love that they offer such large discounts so often. Who else does that?! I have never used Sherwin Williams paint. I know, sad but true. This is the first time I've actually lived in the same town as a store. I'm thinking I should go visit soon. I have some cabinets that need painted. I'm with you Melissa, I always thought that Sherwin Williams was out of my budget. It turns out that the quality of their paint is so great I actually ended up using less than I thought I would need. That's a real money saver! Now it's time to give my kitchen a facelift. I'd sure love that $200.00 S.W. gift card to make it happen! I LOVE S-W paint, colors and helpful people! $200 would be SO awesome! I only use Sherwin Williams paint now, it goes on so nice and everyone there is SUPER helpful! I love SW's colors and how they store your paint colors--so helpful! Thanks. We always use SW paint because it goes on so smoothly! Much better than some other cheaper brands. I, too, love Sherwin-Williams for the customer service. It is so nice to go in and they can pull up my entire paint-buying history! Plus I think their Color Match is really good. Following you both on Instagram!!! Our house is painted inside and out with SW paint and we love it. The exterior is holding up beautifully in the Arizona sun. getting ready to paint the exterior of my house, so this win would be a huge blessing! I have always loved their colors and the fact that the paint goes on so nice and even...no streaks to worry about. Washable! Love that our SW paint looks great years later with 5 kids!! I love the coverage that SW paints give. I live in a home with very tall walls and I went through 3 gallons of another good brand of paint to cover a bedroom. I then bought SW paint for my Living Room and didn't even use the full gallon and it was a bigger room than the bedroom. Needless to say, I need to repaint that bedroom and will be using SW paint this time around! I have never shopped at Sherwin Williams before and now I want to! It sounds like such an awesome store. My daughter wants to paint her bedroom blue and I would love to win!!! I love their colors and the quality of their paint! I love Sherwin-Williams because they have great colors, the paint is great quality and I love how knowledgeable/helpful the people are at the store. Amazing giveaway! Our local BM shop closed and SW has stepped it up, providing great service and a high quality product. I love the color selections and the quality of the paint. I love the Pro Classic enamel line for painting furniture or cabinets at SW! My husband painted houses while he was going to college and the only paint they ever used came from Sherwin-Williams so that has rubbed off on us and now we're pretty biased. The only problem is that now he hates to paint and I have rooms that desperately need it... maybe some free paint would change his mind! I love Sherwin-Williams paint because I actually save money not painting and repainting my walls with the cheaper brands. I like that I can wash my walls and baseboards and actually have the paint hold up and look fresh. A winner in my book. I love SW paint because the quality of the product is top-notch! I love SW paint colors and the quality of paint! 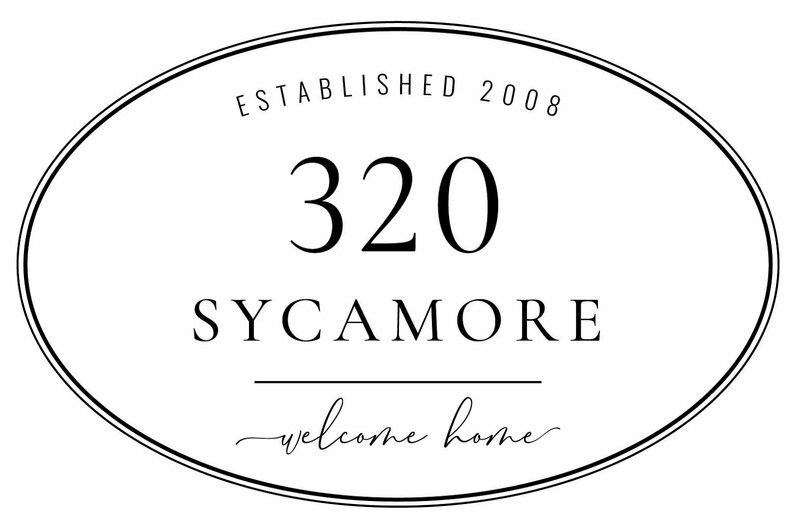 I follow SW and 320 Sycamore on Instagram! I am now following you and SW on Instagram! I love the Chip It! app to help me pick and match colors. We used to live by a SW but we moved and there isn't one close by. I love their paints, the color selection is fantastic and their employees were so friendly and helpful! I love SW because of great quality paint and color selection. Thanks for the giveaway! Hello ~ we love Sherwin Williams because their great sales make fantastic paint products accessible to all of us! I love Sherwin Williams paint because their white paint made my bathroom cabinets look brand new and I can't wait to tackle my kitchen ones now. Thanks for the giveaway. I love their colors. I just painted my powder room sea salt, and have a paint deck in my dining ro trying to pick the perfect gray. I pretty much only use SW - even though "my guy" - the one I trust - just quit. The new guy was pretty helpful though - and ended up helping me pick a yellow as well this week. It's the cust service add that keeps me coming back - they're just so freakin nice. I too used to think SW was too expensive, until I tried it and my mind was blown! I always wait until they have a 30% or 40% off sale. The customer service is great! We have used SW for years. I love the coverage and the colors available. Painting our bedroom has been on the list of ToDo's for years now. This might just be the push we needed to finally get it done!! I have personally never tried SW but with a whole house to paint this would be a very helpful contest to win. And great reason to try SW. I have never used SW before but would sure like to try them!! Thanks so much! I haven't tried SW either. But I'm buying a house that has some dark colors to paint over. I think their paint would be fantastic. I love SW because they have wonderful colors to choose from! I haven't tried Sherwin Williams paint yet, but I would Love to try it in the bedrooms we are finishing in the basement. Simply ... I have used Sherwin Williams paint for forty years now. I love SW paint colors. I spent days perhaps weeks poring over SW color chips. As it's a brand new house, I couldn't try any samples and so had to cross my fingers and hope I picked correctly. When I finally saw the exterior, I was thrilled! Still waiting to see the interior choice. But this giveaway would certainly help add some variety! My neighbor who is a professional painter recommends SW paint so I would love to start using it! The absolute BEST quality and color options!